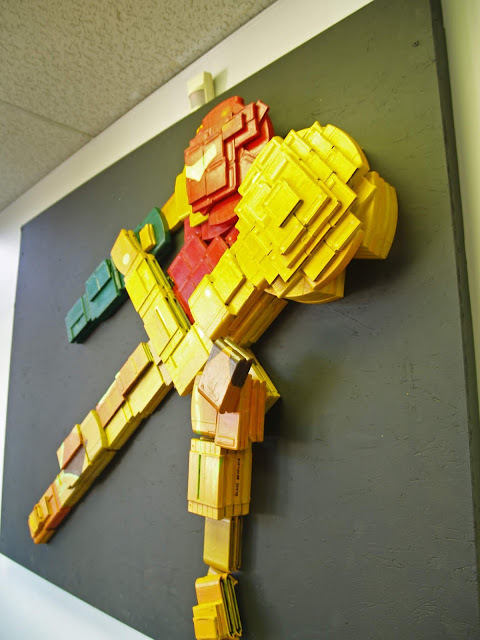 What do game stores do with the Madden, Shaq Fu, and NFL Quarterback Club cartridges nobody wants anymore? 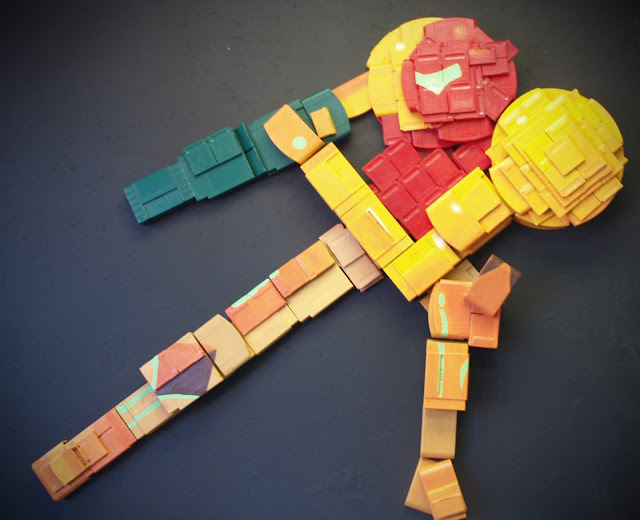 Make video game art. 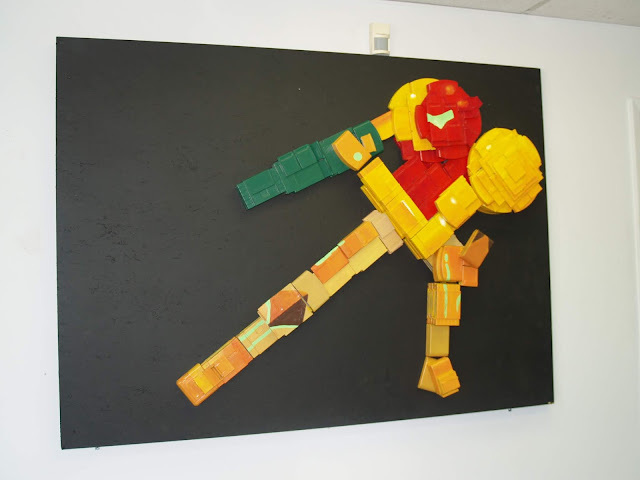 With 179 worthless or broken NES, SNES, Nintendo 64, Gameboy, and Gameboy Advance cartridges JJGames made a 5.5 Ft x 4 Ft Samus 3D collage (she's the main character from Metroid) . 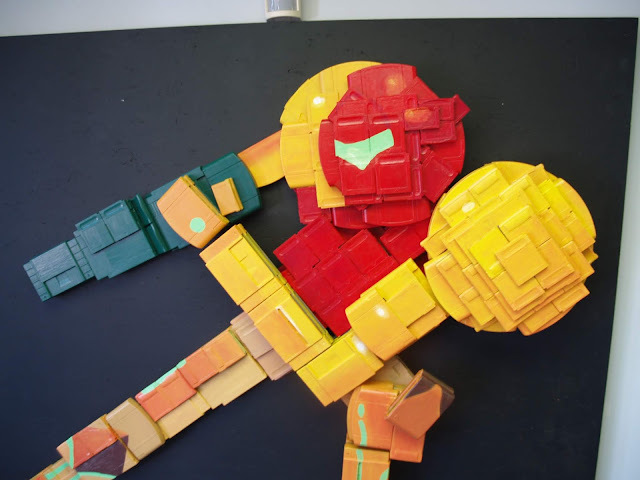 The cartridges are colored and glued together on a black piece of black plywood. 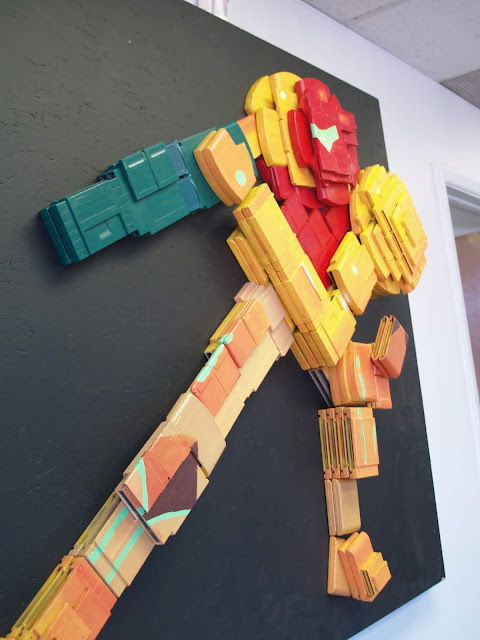 The cartridge Samus is almost exactly five feet tall. 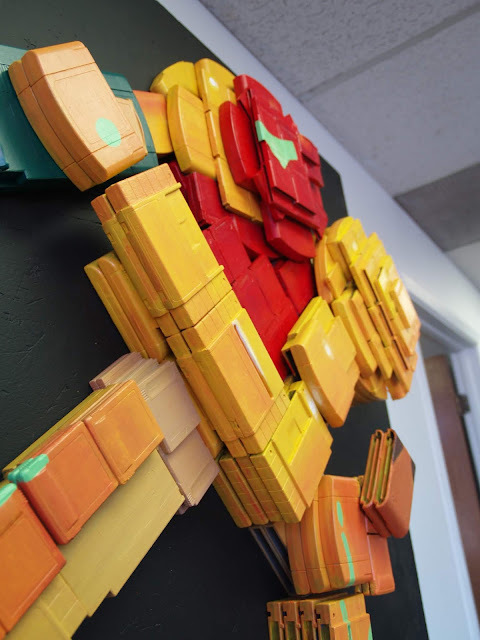 The artwork was created by Blaze Bratcher, a local artist from Denver Colorado.